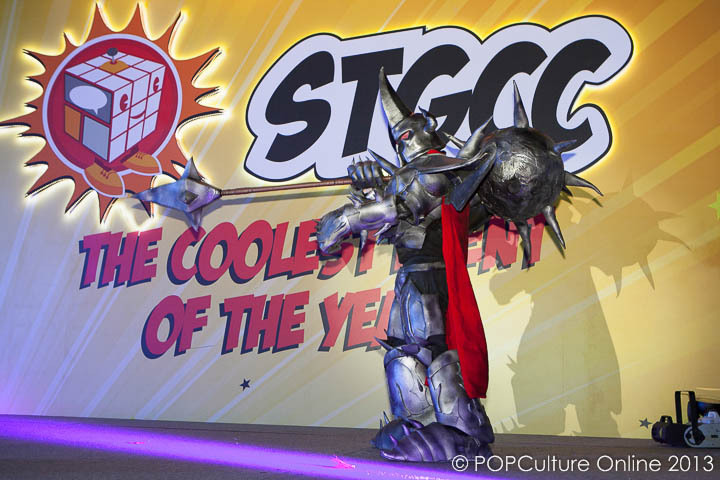 As per previous years, the main highlight for every cosplayer or fan of cosplay at STGCC is the Annual Cosplay Runway. Unlike most cosplay showcases which require the cosplayer to come up with a performance idea, a cosplay runway offers more cosplayers the chance to get a part of the limelight and show off their art. 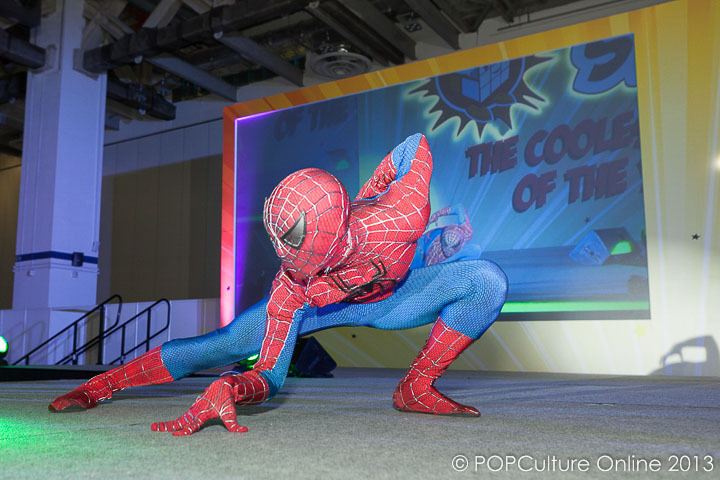 This year, there were a total of 55 cosplayers strutting their stuff on the main stage, wowing the audience with the details on their costumes and the amount of stage presence that they have. Tessie Tan reports from the behind the scenes backstage to the runway itself. Some of the highlights of the runway will have to be the Marvel cosplayers! 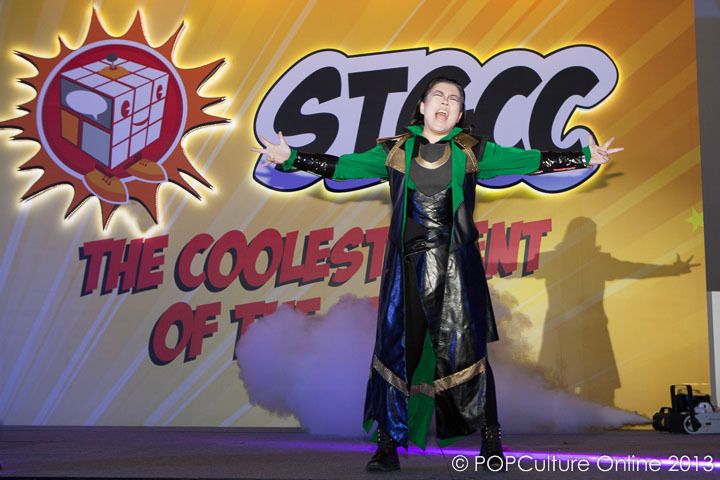 Inspired by Tom Hiddleston’s shenanigans in Hall 8 during the San Diego Comic Con, our local Loki cosplayer (who prefers to be known by her stage name ‘leXis’) came on stage shouting “SAY MY NAME!” That, of course, got the fans screaming and cheering to see one of their favourite Marvel villains brought to life on stage. 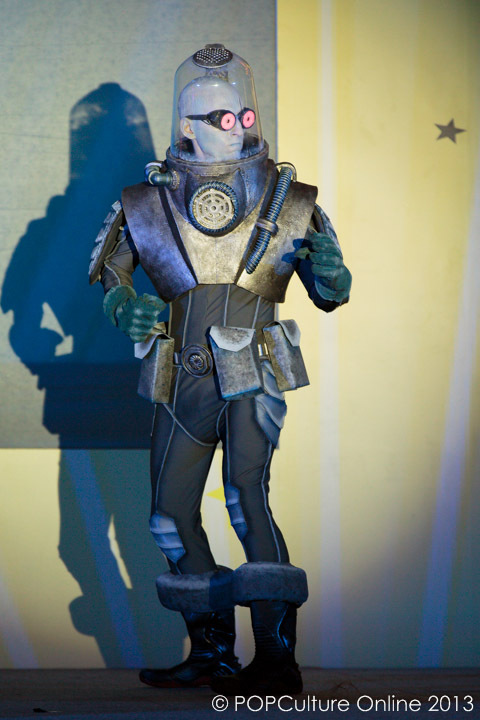 The costume that caught the eye of this writer backstage was Orvis Evans who cosplayed as Doctor Freeze from the popular DC comic book franchise, Batman. This impressive costume was made out of recycled materials such as plastic tubes, fruit baskets and water toys, demonstrating the level of creativity and innovation of its creator. Evans also showed great dedication as a cosplayer in painting his face to portray Victor Fries’s cold hard glare. Ending off the parade was a ten member strong League of Legends team from Neo Tokyo Project and Project Zen. I have to admit I was rather worried at one point in time before the show as the team, with their huge weapons and armour, navigated through typical backstage obstacles such as wires and projectors precariously balanced on step ladders. But my worry was uncalled for because the cosplayers had all cleverly made their costumes and weapons out of light materials that would not compromise their mobility at the same time. Of course, special cosplay guests Vampy Bit Me (from United States) and Aza (from South Korea) were not willing to be left out of the fun. 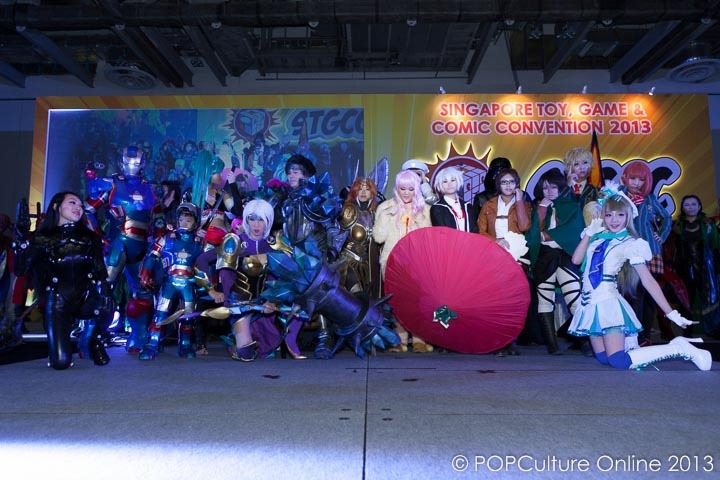 They too took the stage, and together with our local talents, gave the fans of cosplay at STGCC an evening to remember. For more photos from the STGCC 2013 Cosplay Runway, do check out our photo gallery.